The June 6 SAT contained misprints that will affect student scores nationwide. 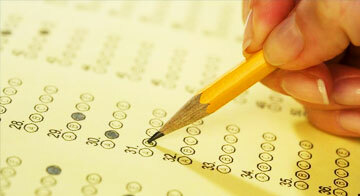 While College Board is trying to make amends, students will need to retake the test in order to submit complete scores. Was your exam affected by this printing error? Check out this article in The New York Times. According to College Board, student test booklets indicated different time allotments than the proctors' booklets. As such, students were given improper lengths of time to complete their reading sections. The issue also affected some students who may have been completing their final math section at the same time. College Board will not score the reading and math sections, and is offering students the opportunity to retake the exam in October for free. However, students who were affected by the printing error must alert College Board of their bad testing experience in order to get the free test offer. The bottom line: students will now have to study through the summer in order to stay sharp for the October test and give themselves the greatest opportunity for success. How will the SAT printing mishap affect your college application process? We would love to hear your comments below.